Chilly evenings and shortening daylight hours remind us that summer is now slipping away and autumn is here. This is confirmed by a bounty of sloes and elderberries, together with a good crop of acorns. A further sign of the changing seasons are fewer wildflowers in the surrounding countryside. 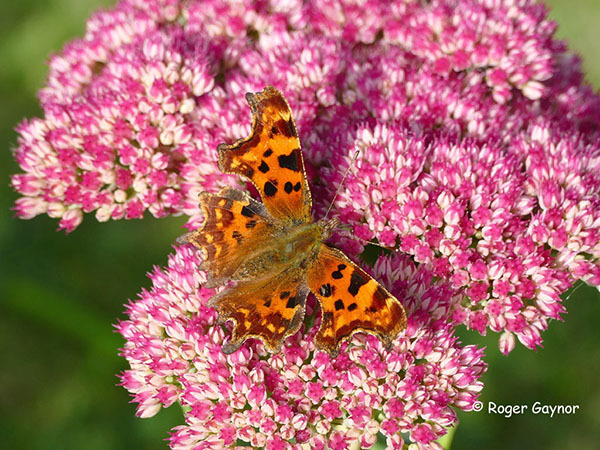 Even so, this remains a good time to enjoy watching butterflies, especially comma and the other species that overwinter as adults rather than eggs, larva or chrysalis. They now gorge themselves on life giving nectar offered by flowers in many of our local ornamental parks and gardens to help them survive the winter and breed next spring. 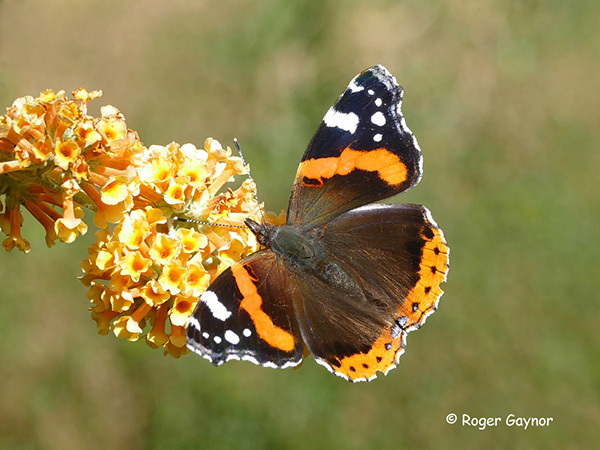 This also includes red admiral, which can currently be seen in very large numbers around Wakefield. This species can be seen flying during milder days well into November and sometimes beyond. This may suggest it overwinters in a reduced state of dormancy compared to our comma, peacock, brimstone and small tortoiseshell. Indeed, there is growing evidence to suggest this butterfly is beginning to be accepted as a resident, especially in the south of the UK. Photos of red admiral feeding on Buddleia x weyeriana and comma feeding on Sedum spectabile at a Wrenthorpe garden during the past week are attached. In addition, to our garden flowers look out for our native ivy. This is starting to flower now and is a magnet for a wide range of insects searching for nectar at this time of year. This important plant is one of our few native evergreen plants sheltering many wildlife species during the winter months.